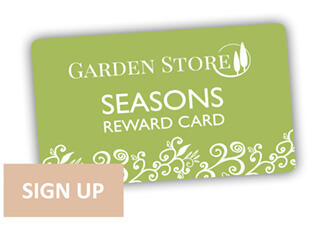 Here at Garden Store we love to support anything that encourages the care of wildlife in our gardens. We value our local species, so we like to do what we can to help them out. We are joining the RSPB 27 - 29 January 2018 for their Big Garden Birdwatch. They are asking us all to take just one hour to sit in our garden or local park and record the birds that we see. Here are a few of our favourite little visitors! We have made a batch of heart shaped bird feeders to make sure that we attract birds into our garden. Not only are they are simple and quick but also loads of fun to make! Hang them in your garden all year round to provide the wild birds with a tasty treat. Below is a link to download our 'How To Guide' so you can make your own set of Heart Shaped Bird Feeders. Download it and make your own batch! Now Lets Make The Feeders! We have a wide range of bird and wildlife food and accessories available instore and online. Please ask our members of staff for any help or advice, they are always happy to help!